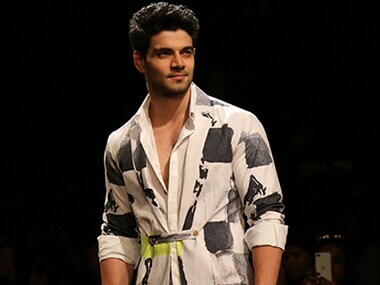 Newcomer Sooraj Pancholi says he is grateful to his mentor Bollywood superstar Salman Khan for considering him as a star and he wants to learn time management from him. And while the song may be going viral presently, but it's hardly the first time he's sung for a Bollywood film. In a reprieve for Bollywood actor Suniel Shetty, the Rajasthan High Court ordered an interim stay on further proceedings in a case of fraud against him in Udaipur. Suniel Shetty in a recent interview talked about his growing up years in Mumbai and said that the city was a safe place for women when Balasaheb was in power. A court on Monday imposed a fine of Rs 20,000 on Bollywood actor Suniel Shetty after he failed to appear before it in a defamation case. Madhuri Dixit was spotted attending Baqar Nasser's Spinnathon for promoting her latest film Dedh Ishqiya on Sunday. Here are the images. 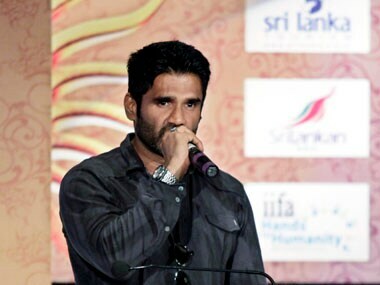 A case has been registered against the cousin of Bollywood actor Suniel Shetty and his driver for allegedly assaulting a driver of a BEST bus after the vehicle hit their car, police said today.